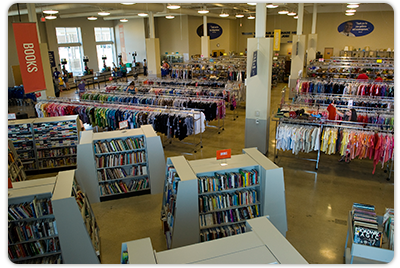 Our Goodwill Store & Donation Centers succeed because we offer convenient, upscale locations for donating and shopping, an outstanding shopping experience featuring high-quality donated clothing and household items and exceptional customer service for our donors and shoppers. We also understand that our employees are our most valuable resource, and we invest in them so that they can succeed on the job. Our retail operations are the primary economic engine that powers our mission. Revenue generated from retail sales is reinvested in training and work opportunities for people who are dislocated, disadvantaged or who have disabilities. Our bright, clean stores are open seven days a week and provide a convenient place for donors to take their gently used clothing, electronics, and household items, with friendly donation attendants who will help them unload their cars. And, we give shoppers a welcoming and organized shopping environment so they can find just what they need – and some unexpected treasures – at a fraction of the cost. 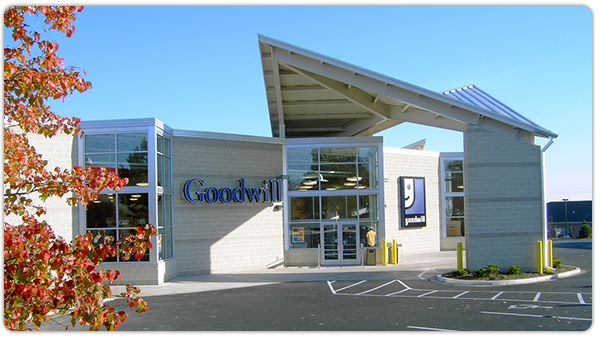 Besides investing in a great mission, donating and shopping at Goodwill keeps usable items out of landfills, making Goodwill one of the greenest retailers around. As an experienced retailer, we understand our market, and we know our customers. We are experiencing strong growth, with significant expansion planned over the next five years. We are leveraging the increasing popularity of resale to help us expand mission services. Shopping at and donating to Goodwill makes a positive difference in the lives of individuals, families, and communities – we call that Amazing. And you can be part of it.